To claim this profile, please confirm you are Joanna Campbell. To follow this profile, please let us know your relationship to Joanna Campbell. RESULTWin Girls varsity lacrosse @ Lewisburg. The Danville varsity lacrosse team won Thursday's away conference game against Lewisburg (PA) by a score of 16-10. Girls varsity lacrosse vs. Muhlenberg. The Danville varsity lacrosse team has a home non-conference game vs. Muhlenberg (Laureldale, PA) today. 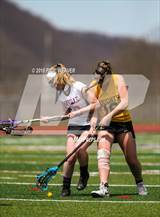 RESULTWin Girls varsity lacrosse vs. Selinsgrove. The Danville varsity lacrosse team won Tuesday's home conference game against Selinsgrove (PA) by a score of 19-6. Joanna's lacrosse stats have been updated for the win @ Midd-West. RESULTWin Girls varsity lacrosse @ Midd-West. The Danville varsity lacrosse team won Thursday's away conference game against Midd-West (Middleburg, PA) by a score of 22-6. 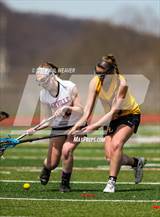 Joanna's lacrosse stats have been updated for the loss @ Lake-Lehman. RESULTLoss Girls varsity lacrosse @ Lake-Lehman. 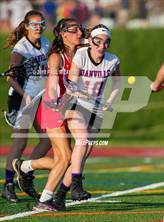 The Danville varsity lacrosse team lost Tuesday's away non-conference game against Lake-Lehman (Lehman, PA) by a score of 11-10. Joanna's lacrosse stats have been updated for the win @ Selinsgrove. RESULTWin Girls varsity lacrosse @ Selinsgrove. The Danville varsity lacrosse team won Thursday's away conference game against Selinsgrove (PA) by a score of 19-8. Joanna's lacrosse stats have been updated for the win @ Mifflinburg. RESULTWin Girls varsity lacrosse @ Mifflinburg. The Danville varsity lacrosse team won Tuesday's away conference game against Mifflinburg (PA) by a score of 21-2. 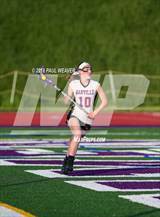 RESULTWin Girls varsity lacrosse vs. Berks Catholic. The Danville varsity lacrosse team won Saturday's home non-conference game against Berks Catholic (Reading, PA) by a score of 14-13. Joanna had 4 photos tagged from the game against Berks Catholic. 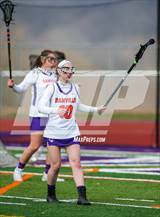 Joanna's lacrosse stats have been updated for the win vs. Lewisburg. RESULTWin Girls varsity lacrosse vs. Lewisburg. The Danville varsity lacrosse team won Thursday's home conference game against Lewisburg (PA) by a score of 13-6. Joanna's lacrosse stats have been updated for the win @ Crestwood. The Danville varsity lacrosse team won Tuesday's away non-conference game against Crestwood (Mountain Top, PA) by a score of 18-6. Joanna's lacrosse stats have been updated for the loss @ Trinity. RESULTLoss Girls varsity lacrosse @ Trinity. The Danville varsity lacrosse team lost Saturday's away non-conference game against Trinity (Camp Hill, PA) by a score of 16-11.